The new personnel director, Michele Ralph-Rawls, did not use the city’s biometric time tracking system to record her work attendance, according to municipal records. Ralph-Rawls, who was hired in September of last year, also did not always record her time in and time out of work in paper timesheets. For example, she filled out a timesheet form for the pay date of Nov. 16, 2018 that did not include time in and time out of work. She affixed her name in the signature box and left the time fields blank. Ralph-Rawls did not respond to a call seeking an explanation on Monday morning. However, she did properly complete the timesheet for pay date of Oct. 19, 2018. Her forms stated she came in at 8:30 a.m. and left at 4:30 p.m. It isn’t clear why she stopped the practice a month later. Furthermore, she took three sick days — Sept. 26, 27, and 28, 2018 – a week after taking the $84,000 job – she was hired on Sept. 18 — for which she was compensated contrary to municipal policies for sick time for new employees. Mayor Andre Sayegh did not respond to a call for comment on Monday morning. His chief of staff, Kathleen Long, provided a statement the mayor issued on the subject. “When a senior leader gets the flu just as they start a new job, I let them take a sick day, because I know they will be going above and beyond in the performance of their duties,” said Sayegh in his statement defending the sick days Ralph-Rawls took in late September. Sayegh said there have been technical issues with the TimeTrak system at different times and locations that has “frustrated” employees. He also cited a memorandum issued by the controversial former personnel director Abby Levenson that required nonexempt employees to clock in using the fingerprint or TimeTrak system. Levenson left the city following a controversy. She had been working from home prompting former interim mayor Jane Williams-Warren to order her return to office. She resigned sometime thereafter. Sayegh acknowledged his staff hasn’t consistently used TimeTrak to record work attendance. He said in his statement he plans to take corrective measures to address the situation. “I am asking the Personnel Director to draft a new policy that will make it abundantly clear how all employees – exempt and nonexempt – should record their time,” said Sayegh. Members of the City Council, both supporters and detractors, criticized the mayor. Councilman Flavio Rivera, chairman of the finance and personnel committees, found the mayor’s explanation and justification offensive. Ralph-Rawls has been embroiled in multiple controversies since arriving in Paterson. She signed off on her own pay increase that was later scrapped. She previously worked as director of human resources at East Orange, where she directed a subordinate to increase her pay in 2016, according to public records. 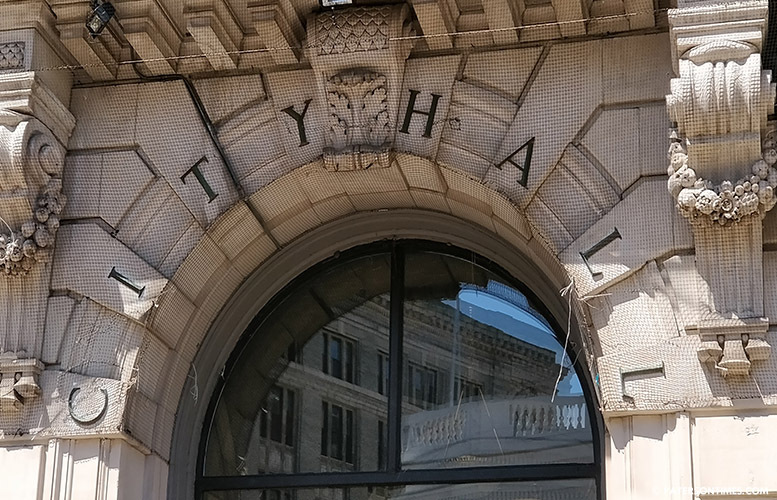 There have been murmurs in City Hall some of Sayegh’s directors have been coming in late, putting in a few hours of work, and departing. The mayor’s statement is foggy on whether his directors are reporting to work from 8:30 a.m. to 4:30 p.m. He argues in favor of accountability, but then appears to suggest it’s okay to pay the directors a standard wage without making sure each is putting in full-time work. “My team doesn’t just punch a clock; we all go above and beyond our 35 hours a week to make this progress happen,” said Sayegh. High ranking officials under his predecessor, mayor Jose “Joey” Torres, used TimeTrak. For example, Sayegh, as councilman, witnessed the likes of former business administrator Nellie Pou and law director Domenick Stampone, clock out following long council meetings at the end of the night. Sayegh also heard his colleagues on the council lambaste employees who made excuses to avoid using the biometric time tracking system. None of Sayegh’s directors have been approved to telecommute or work from home. Just one employee in the city works from home two days a week, according to records released to the Paterson Times last week. “I have to have a talk with my colleagues,” said Rivera when asked what steps the City Council will take to address the situation. Above and beyond lmfao. How long before Mayor McCheese pisses Florio off and ends up in prison like Joey?